Specially made for the natural gas industry, these tubes are lined with silicon for easy release of your soap. We manufacture silicone inside and outside of the tubes to contain soap for the natural gas industry. This silicone allows easy release and the silicone outside keeps your packaging clean. 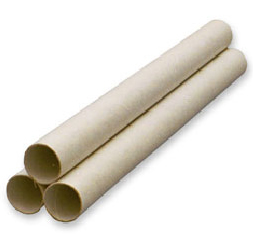 We offer both light duty (2-ply) and heavy duty (3-ply) tubes. We can customize your soap stick tubes with a printed logo and instructions on the outside.